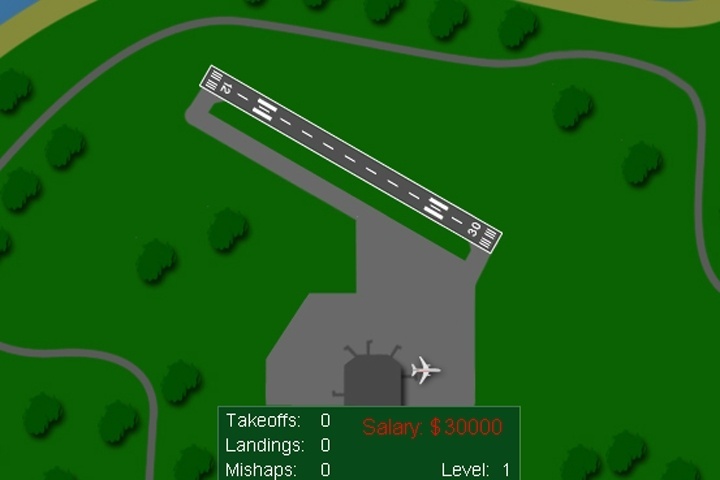 A fun and very addictive airport air traffic control game. As an air traffic controller in this game, your job is to keep aircraft from colliding. You must give takeoff clearances, landing clearances, and taxi clearances in an effort to maintain order where there is chaos. Your starting salary is $30,000 and your wage increases based on efficiency. Don't let the aircraft wait! Crashes will cost you. Have three crashes and your game is over. Special thanks to Andrew Potterton for his music, "Chilled". If you want to play Airport Madness games online you have come to the right place! GamesLoon adds new Airport Madness games every week. This is your game portal where you can find the biggest collection of free Airport Madness games online. Do not forget to rate our Airport Madness free online games while playing!